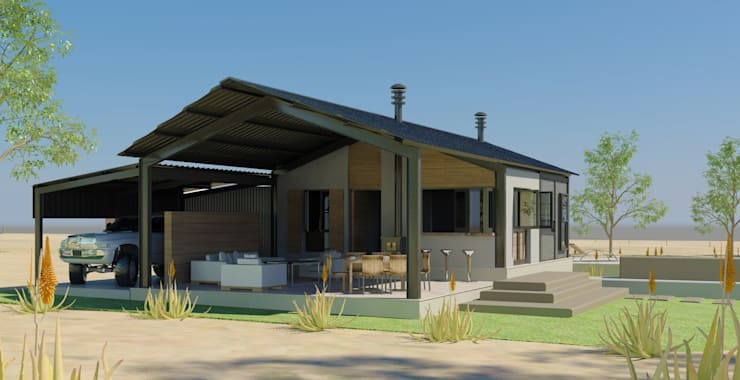 We love poring over architect renderings and trying to imagine how the finished homes actually looked. So today, we're going to show you a host of wonderful proposed buildings that, we think, would be so much fun to bring into being. We've found such a range of styles, from classic through to ultra contemporary and everything in between, so why not take a look and think about which of these you'd be most inspired to commission a construction team to create for you? Assuming that they all have a couple of bedrooms included, we think we'd have a very difficult time choosing! 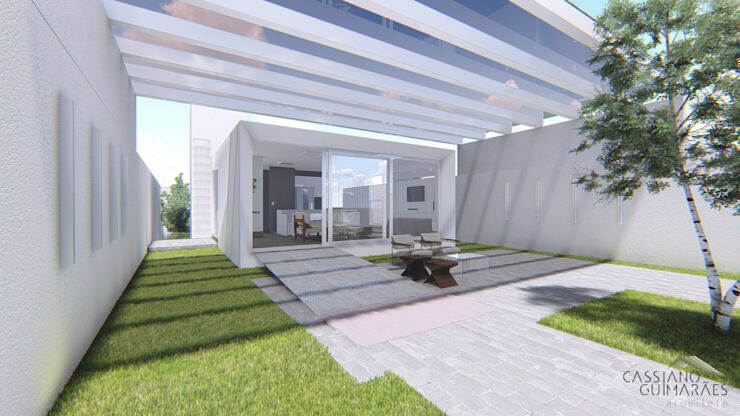 With an integrated terrace in place here, there is as much to enjoy outside the home as inside. 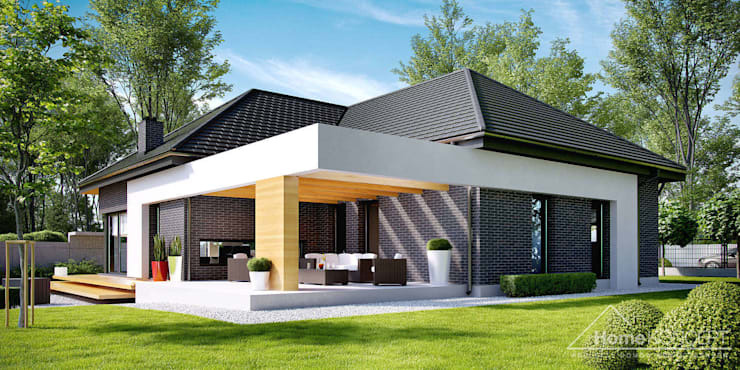 We love the almost agricultural roof, mixed with white render and natural wood cladding. 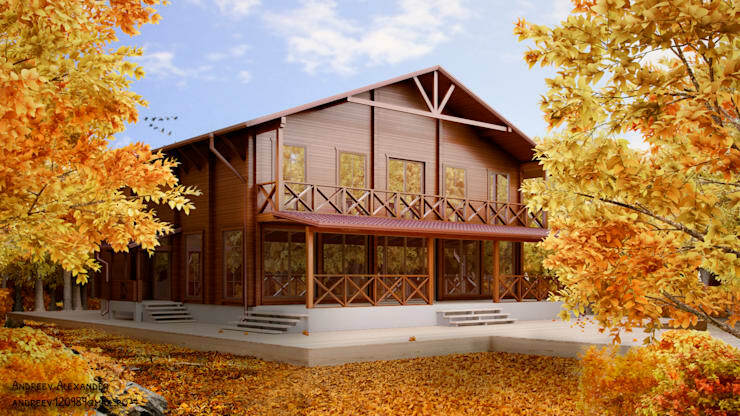 This might be a large cabin home, but it is also exceptionally traditional in terms of façade style. 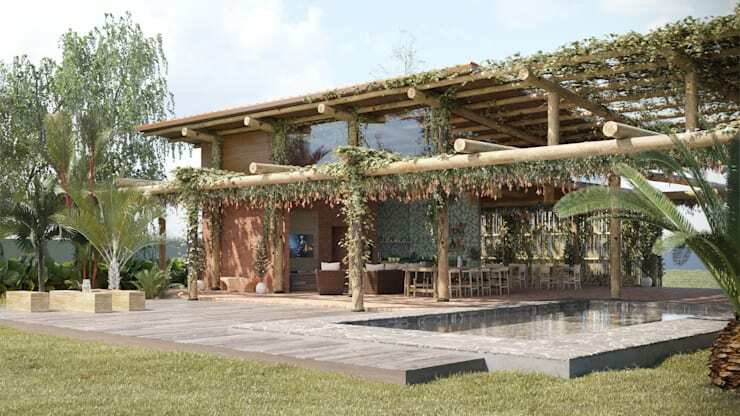 With a long first floor terrace, raised platform construction and natural integration with the surroundings, this would be a rustic dream home. How do you capture a modern home aesthetic? Create a boxy-shaped property and add in as much glass as possible! 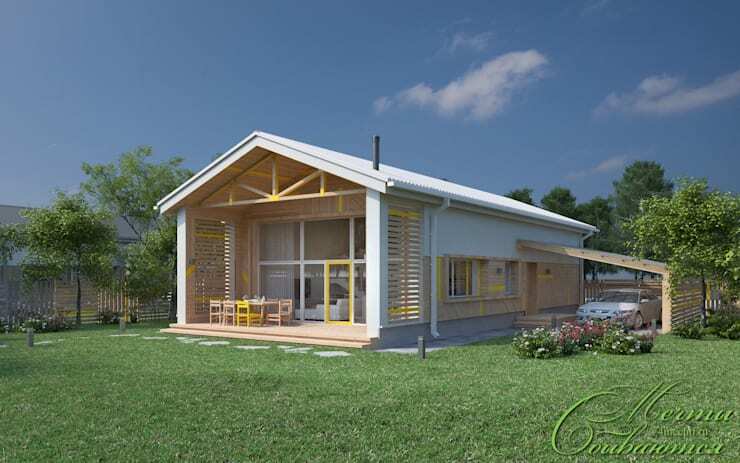 We love the simplicity of this building and can see a proposed totally open-plan scheme with master bedroom mezzanine! Divine! The beautiful yellow accents here have created such a pretty and fresh take on a traditional country home. 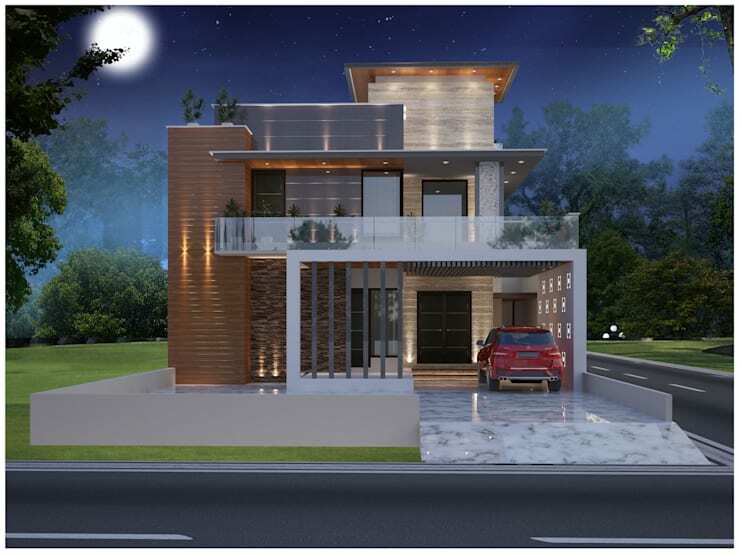 As an added bonus, the single-storey design means that construction would be simple and quick. We don't even know what to say about this rendering, except that this would be one of the most fabulous, luxurious and unforgettable homes ever! An integrated carport is the perfect finishing touch. 6. Family home with an integrated garage floor. 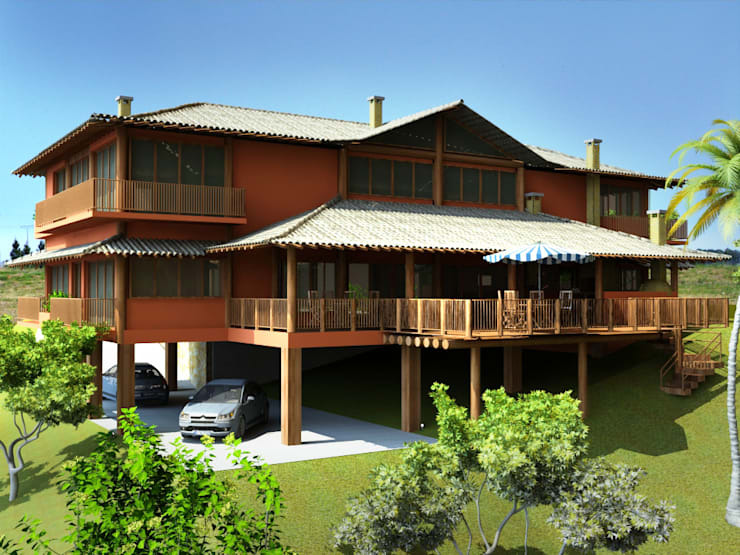 Speaking of car storage, just look at this incredible home, built on stilts to allow for a basement carport! The grand proportions of this rendering are phenomenal and the large outdoor terrace is such a statement. 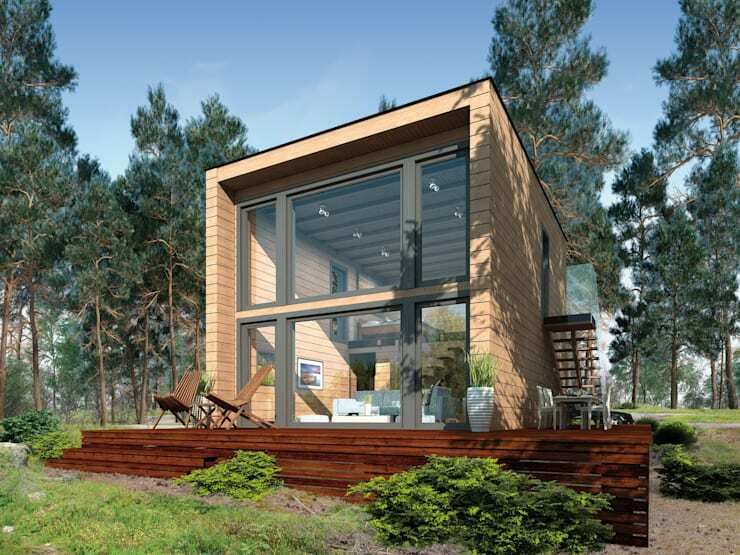 Simple, wooden and all on one level, this lovely Scandinavian-inspired rendering needs to be brought to life! The inset terrace looks so luxurious, with sunken spotlights in the cavity roof! 8. Simple, white and fresh. 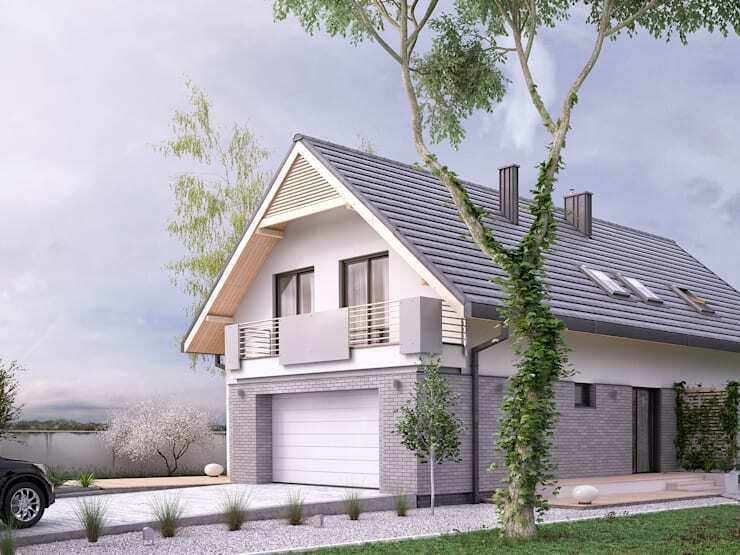 With some chalet vibes and a modern colour scheme, this home is every inch the perfect modern family home for busy professionals that want to come home and relax! The built-in double garage is inspired and we could imagine a number of homes like this one looking wonderful together. 9. Perfect for growing families. First things first, the terrace here is exceptional and offers such interesting shapes and lines, but secondly, the pitched roof design here promises development opportunities. Should a family grow, that roof space could be converted! Who wants to be just like everybody else? 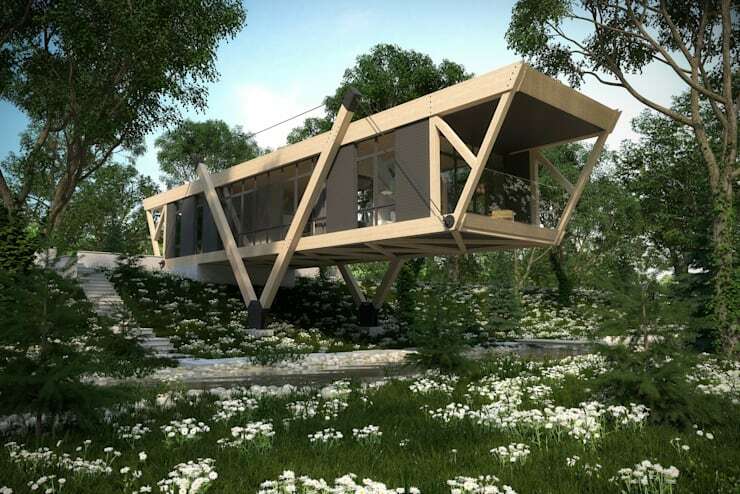 If you love the crazier side if architecture, please let us convince you to build this spectacular proposed home! Imagine the views out of the end! With a cacophony of different shapes in play and a warm colour palette being used, this rendering has such a Mediterranean feel to it. Imagine adding a pool and maybe even a party terrace… now you really have something to build! 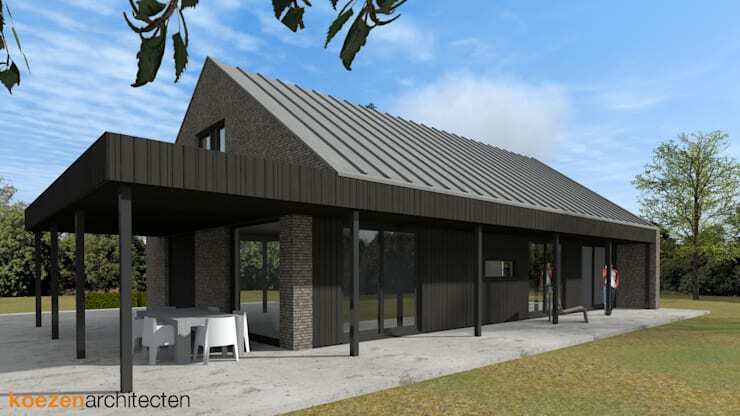 This rendering is incredible, as it looks like an agricultural barn! Finished in dark cladding and with a galvanised roof, we think this would look incredible as a bricks and mortar build, especially in the right rural setting. Talk about amazing graphics talent! Not only is this home a stunning representation of rustic design, it looks as though it has been partially reclaimed by nature as well, which would be the dream for any truly organic home! Imagine seeing this in person! We are huge fans of modernist architecture, as the simple façades give way to light, airy and stylish interiors that are amazingly creative. We like to think that a pared back white box design wouldn't be hard to create either, so that has to be an added bonus! For some tips on how you'd decorate houses like these, take a look at this Ideabook: 10 ideas for decorating modern houses. Which of these houses would you most like to see built?